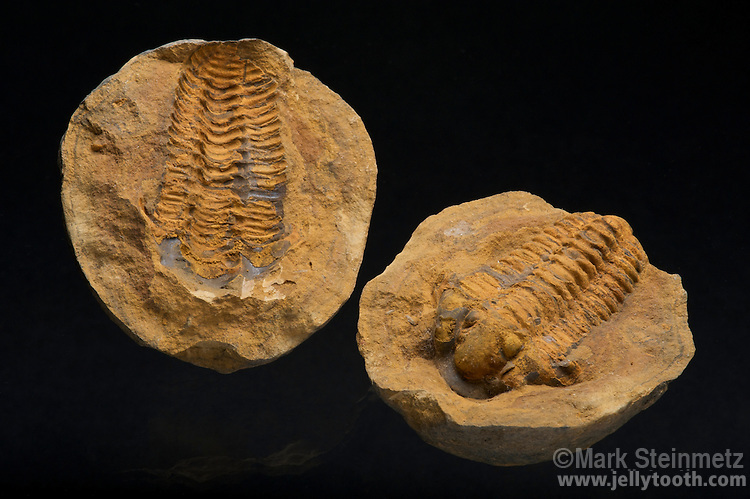 Mold and cast of a trilobite (Diacalymene ouzregui) fossil in a siltstone concretion. Central Morocco, Ktaoua Formation. Lower Ordovician Period, 505-438 million years old.